Movement Police or Encouragers for Movement? I have been incredibly privileged to work, on occasions (under the guidance of heads Up!) with several people who have been unfortunate enough to have had a stroke. These guys have completely had their worlds turned upside down and inside out yet with great motivation and guidance they are able to continue on with life to some sort of degree. There is always a dilemma to play as a movement specialist, that being, do you ‘police’ every single movement or, do you encourage movement as best as possible. I think people much higher than my pay grade would have definitive answers for you but in my experience most of these guys I have had the pleasure of working need to move as much as they can and require some guidance in staying safe but, perhaps more than anything, be happy to explore what have and develop movement and fitness where they can. 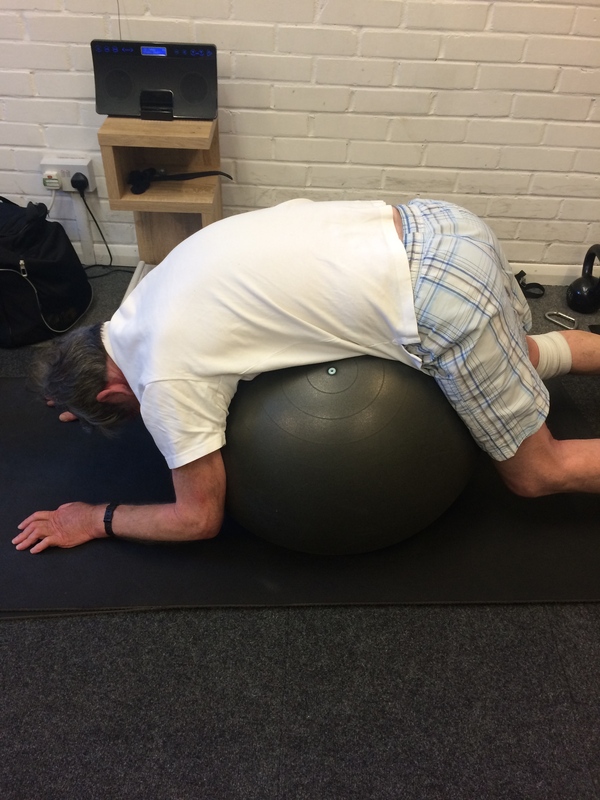 This particular client is a total joy to work with and here you can see him in supported flexion. I try to get him to listen to his back muscles and learn to ‘quiet them down’. Along with good breathing this can help, even temporarily, to relax the ‘paraspinal’ group. We explore movement and in conjunction with Heads Up help to motive and encourage safe and effective movement. Here you can see him using bands to great effect to ‘fire up’ rotational motor control. 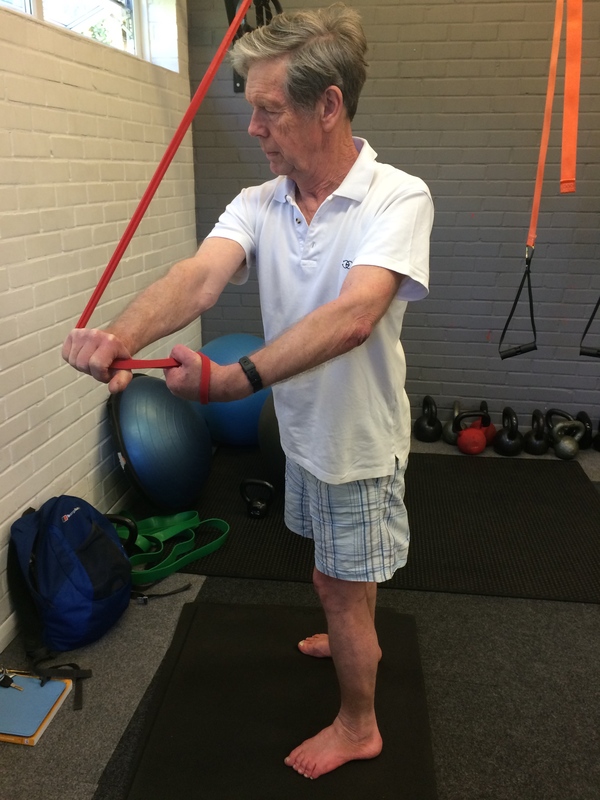 The bands are really great for this as he has to control both the concentric and eccentric phases of the movement. So to what degree of movement does this particular client operate? He has, in the time I’ve known him, horse ridden, returned to a bit of skiing and built a new house, I’d say that’s pretty outstanding! Here you can see him on the rowing machine. Next Re op of the hip op!